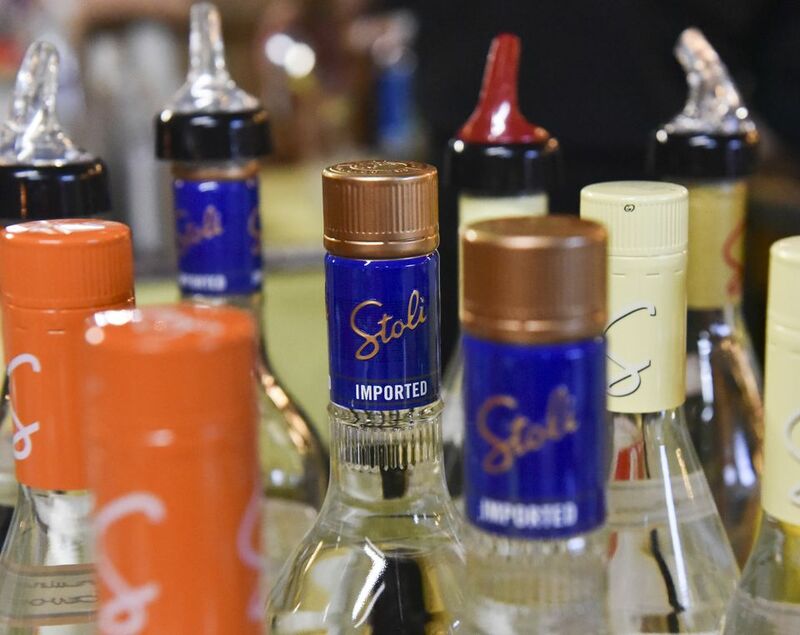 Stolichnaya -- or more popularly "Stoli" -- is one of the most popular vodka brands on the market today. This is good because the majority of their vodka lineup is pretty good and affordable, so when you're in doubt you can almost always rely on a bottle of Stoli being at the liquor store. Overall the brand is very smooth, great for mixing or for serving and sipping well chilled and one of the best, readily available examples of Russian vodka. Taste, price, and availability considered, Stolichnaya is one of the best everyday vodkas available -- a gentle sipper and a wonderful cocktail base all in one. The red label is the flagship, or the foundation, of the brand as a whole and is available almost anywhere. This Russian vodka is distilled four times from wheat and rye, mixed with artesian water from the Kaliningrad region and filtered through quartz, sand, activated charcoal and woven cloth before bottling at 80 proof. This bottle of Stolichnaya is a great example of what to expect from good vodka from Russia and for around $25 a bottle it's still affordable. Stolichnaya has a typical vodka aroma -- that of a touch of alcohol backed by notes of warm grain. The entry is bright and airy, leading to a silky palate that has a tolerable bite at first that melts into a warm vodka taste with a hint of citrus. Stolichnaya finishes quite smooth, with that vodka bite being almost non-existent and the taste fading relatively quickly. Stoli Elit is a noticeably smoother version of the original clear vodka produced by Stolichnaya. This bottling is for the vodka connoisseur who enjoys sipping it well-chilled or mixes it in "transparent" cocktails like the Vodka Martini. Stoli Elit gets its smooth profile from some extra filtering that the other Stoli vodkas do not and that makes a world of difference in a side-by-side tasting of the two. However, Stoli Elit does put a pinch on the pocketbook, and that extra smooth character might not always be affordable, but the luxurious taste is worth forking out a little extra cash every now and then. Stoli Elit has a clean, rich and grainy aroma that leads to a warm and silky entry. This melds into a palate of citrus, warm caramel, and grainy notes. The finish is delicate, quick and warm. Overall a fine Russian vodka and one of the smoothest available in most any market. Over the years I have collected a few cocktail recipes that specifically use Stolichnaya. From Champagne cocktails to the creative uses of some of their flavors, this sampling of drinks shows off their vodkas. Stolichnaya produces a full range of vodkas including many flavor-infused vodkas. Most of these can be found in almost any liquor store that stocks the standard clear vodka and are in the same price range. Russian vodka distilled four times from wheat and rye. As of 2015, Stolichnaya produces 17 flavored vodkas.